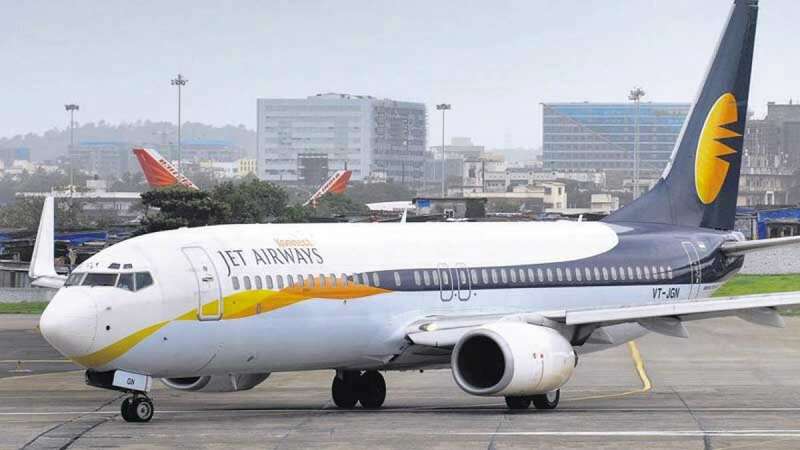 New Delhi : Standing on the verge of falling down, Jet Airways has suspended its service on 13 International routes till April end as the company was forced to ground seven planes due to non-payment of rentals, taking the number of such aircraft to 54. Other than this, the airlines has also reduced frequency on seven overseas routes, mostly from Delhi and Mumbai. An NDTV report mentioned that routes, where services have been temporarily withdrawn, include Pune-Singapore (seven a week), which was launched with much fanfare late last December, and Pune-Abu Dhabi (seven flights a week). The fund crunched airlines has so far reduced its operation to one fourth from 600 daily flights to 119 flight now.